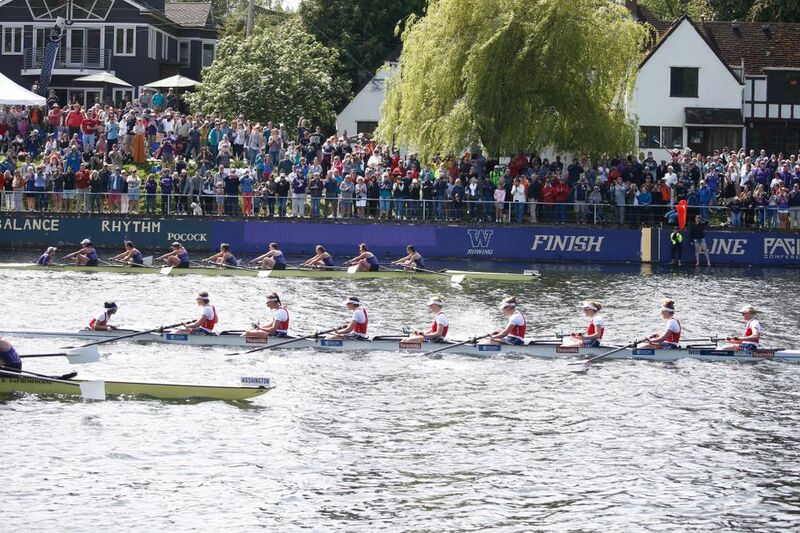 The Washington men held off Oxford Brookes by a 0.457 seconds and the women finish just behind the Dutch National Team by 1.225 seconds. Those are the second closest races (for men and women) in the history of the event. Barnburners. A pair of them. 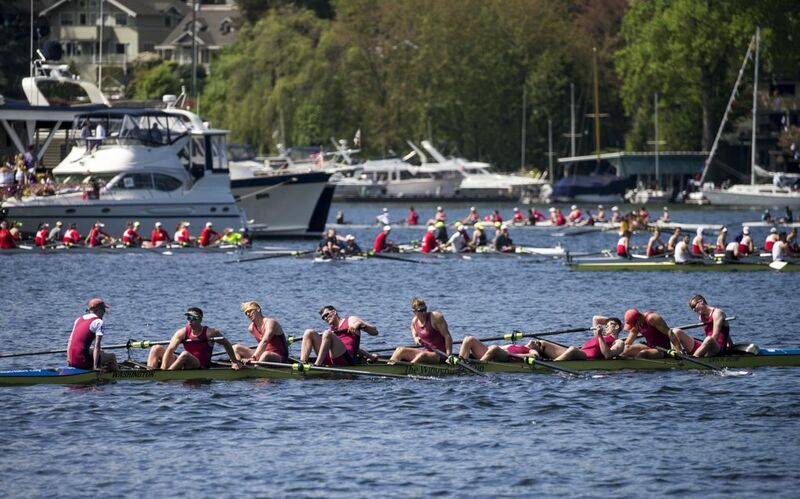 Saturday’s 32nd annual Windermere Cup, an event traditionally viewed as a genial exhibition to supplement the party vibe of boating season’s opening day, instead treated thousands of energetic onlookers along Montlake Cut to a pair of full-tilt competitions that resulted in two of the closest finishes in Cup history. 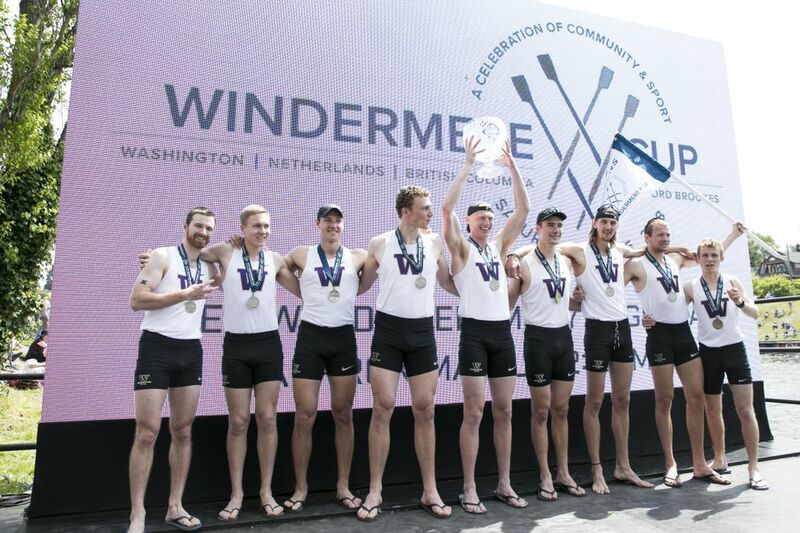 The top-ranked Washington men’s varsity 8 held off a late surge by the reigning British collegiate champions, Oxford Brookes University, to win by a mere 0.457 seconds (5:35.782 to 5:36.239), about the length of a racing boat’s deck. In the finale, the No. 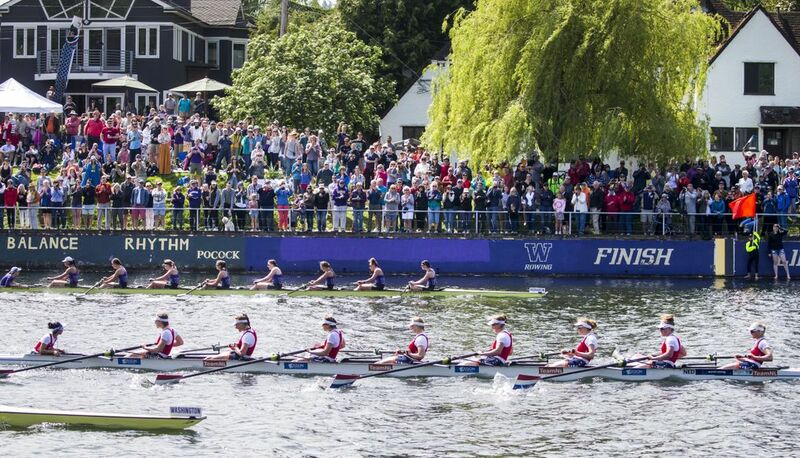 2-ranked UW women, with their varsity 8 and second V8 lineups mingled between two boats, rowed furiously in a course-long, neck-and-neck battle with the Dutch National Team, which features six past Olympians and is renowned for its finishing sprint. 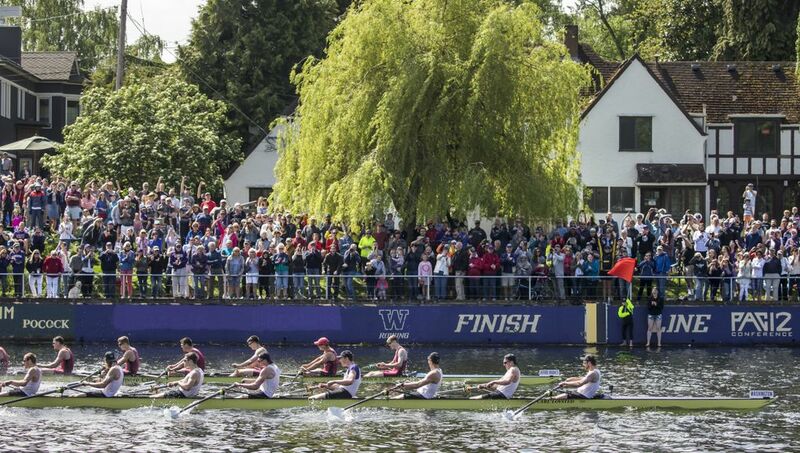 The Netherlands’ final kick was enough to outrace UW’s “purple” boat by 1.225 seconds (6:18.394 to 6:19.619), roughly two seats. 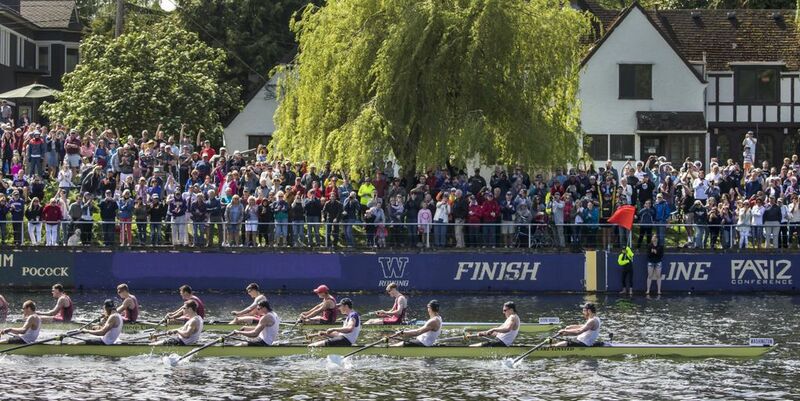 UW’s “gold” boat, which led half the race, finished less than a second later (6:20.569). 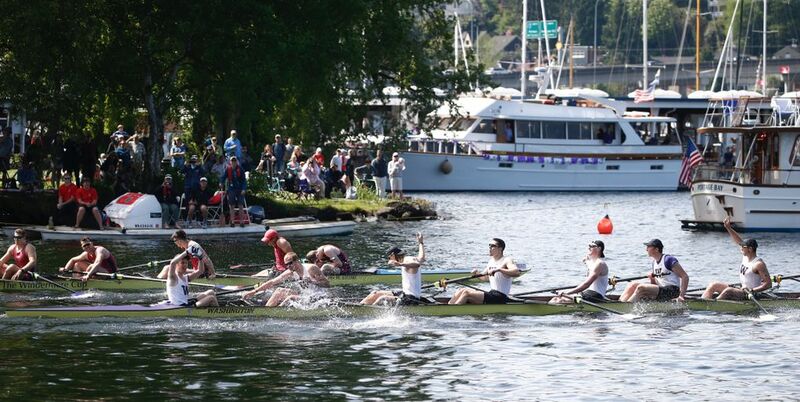 The combined margins of victory between the first- and second-place crews, 1.682 seconds, is the smallest in Windermere Cup history in the event’s two feature races. 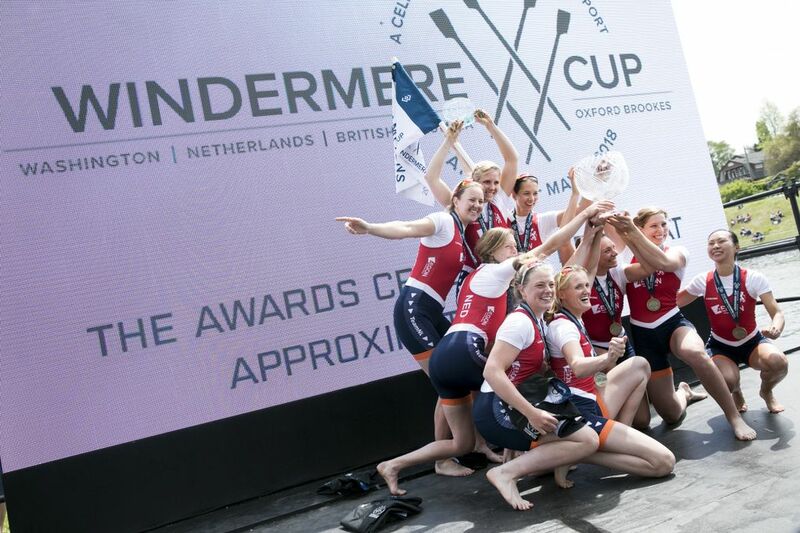 Seven of the Dutch rowers, who range in age from 22 to 32, were part of the crew that took sixth at rowing’s World Championships last year. “They row so beautifully,” Farooq said. “They just have such incredible skill. When they lifted for the sprint, that’s where they got it. Both coaches think Saturday’s experience will benefit their squads as they head into postseason competition. Both will race at the Pac-12 championships May 13 near Sacramento. 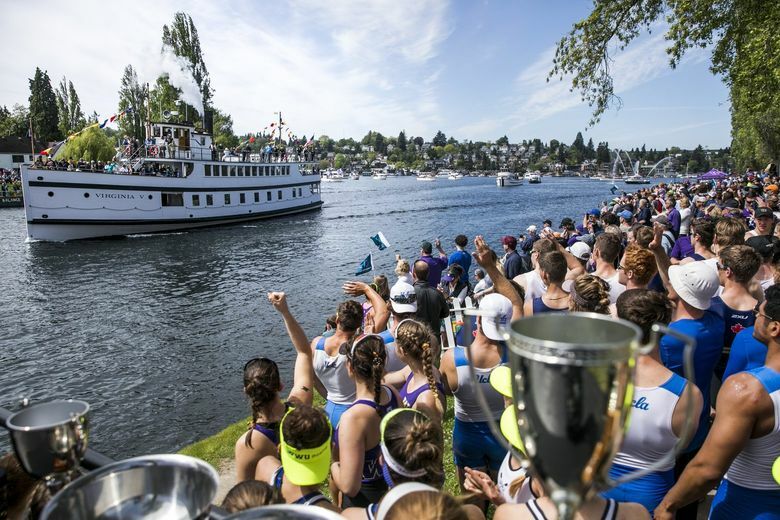 The women’s NCAA championships, where UW will seek to defend the title it won last year during Farooq’s first season, are May 25-27. 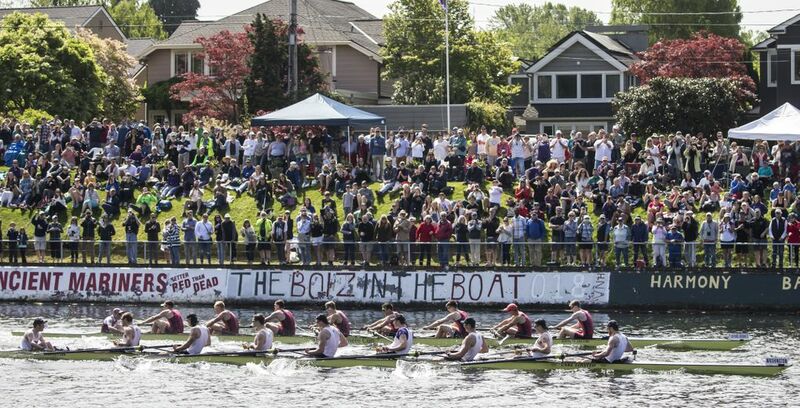 The men will compete at the Intercollegiate Rowing Association championships June 1-3. Farooq continues to evaluate her lineups as she prepares for the races ahead. 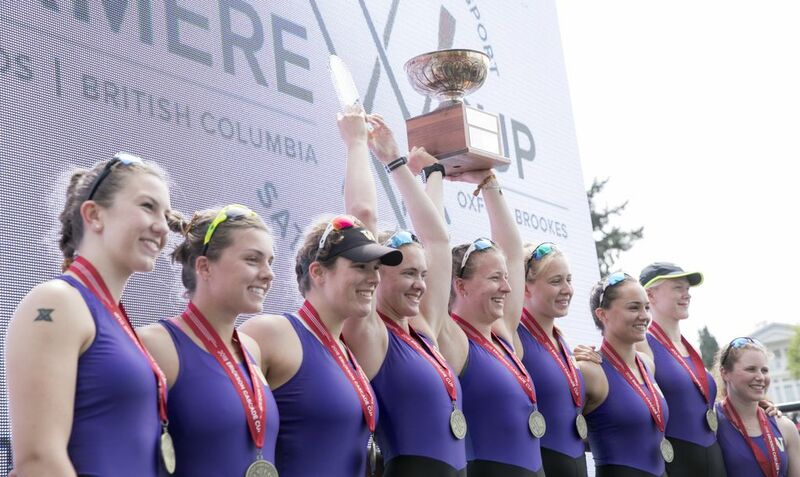 Her purple boat was coxed by Phoebe Marks-Nicholes of Ballard with Holy Names grad Katy Gillingham in the bow seat. Against the current No. 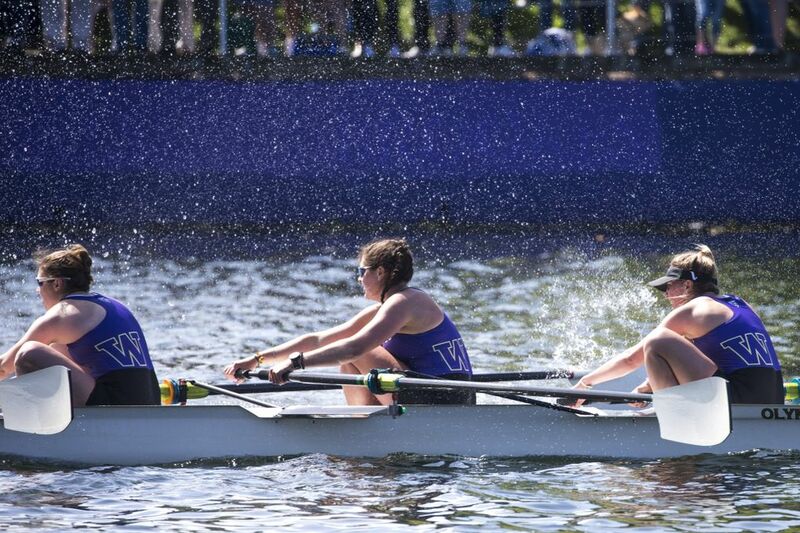 1 team, California, on April 21, her second varsity and varsity four boats won by three-plus seconds, but her varsity eight lost by three. 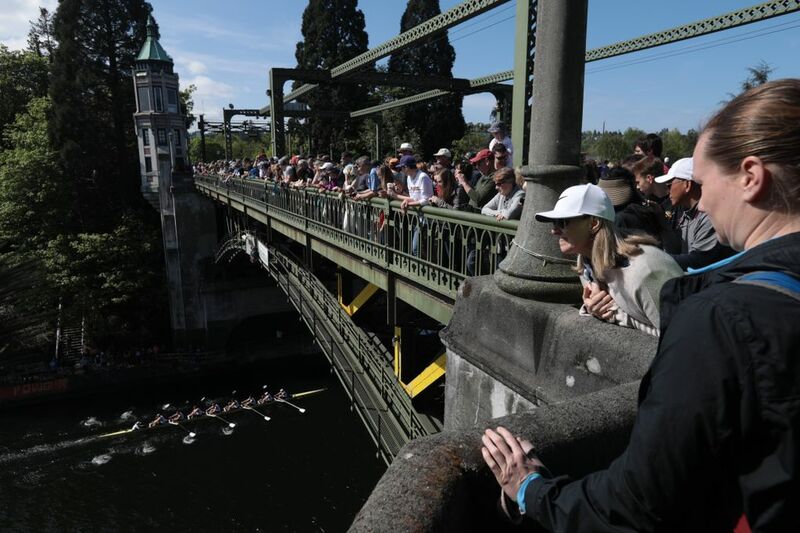 Callahan liked what he saw out of his V8, coxed by Rielly Milne of Woodinville with Sam Halbert (Woodinville) in the six seat and Elijah Maesner (Eastlake) in the bow. 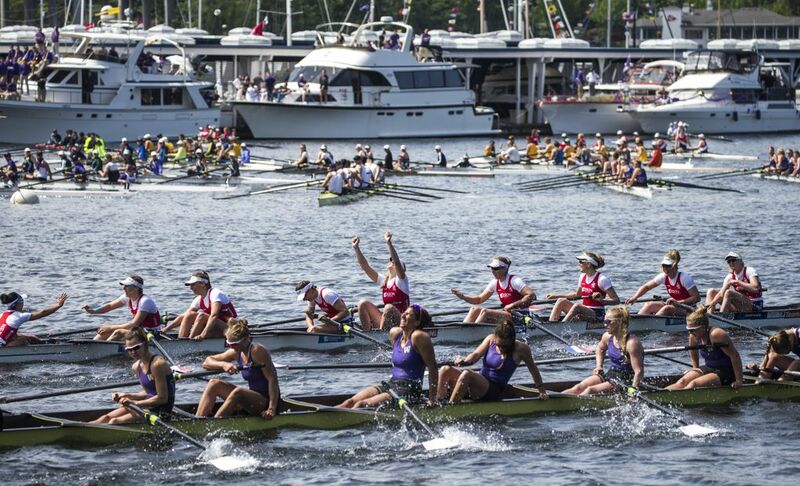 • The UW women rowed in a new boat, one donated by UW rowers from the 1970s and named Title IX Sisterhood. 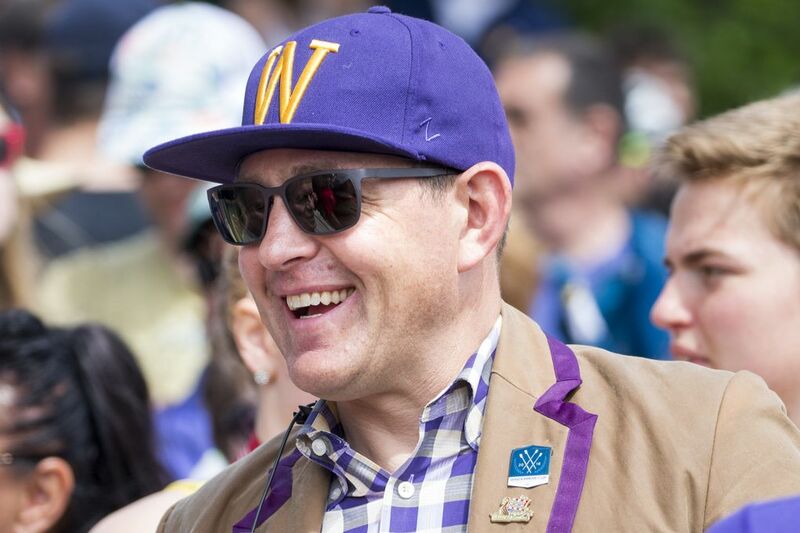 “They’re the one’s who literally kick-started this program,” Farooq said, noting that racing shells typically cost around $60,000. * UW finished third (5:57.29), 0.42 behind first-place China.